» All Danny Aren’t We? Slumped to the grimy floor of the pub and flanked by walls of pure black, his hands clamped over his face, sat Danny. A concerned acquaintance offers him a glass of water, but Danny barely registers her presence. His half-full pint sits forlornly to his left, destined for the plughole. Danny might say it’s half-empty. That beautiful 1995-96 navy and green away shirt hangs on his frame, a visual representation of a simpler time. An era of Yeboah hammering in regular thunderbastards could not be farther from the nightmarish haze through which Danny is passing. He is well and truly in Bat Country. The video, posted to Twitter by Blades fan @lewis9_sufc, has been viewed over 540,000 times and has drawn a wry smile of embarrassment from any Leeds fan who has witnessed it. The catalyst for this spectacular meltdown of course, was Saturday’s 1-0 defeat to local rivals and fellow promotion-chasers Sheffield United. Chris Basham’s 71st minute effort proved to be the only shot on target throughout the entire game, and fittingly decided this tense clash. It was an ending that looked a distant possibility after an opening forty minutes in which Leeds dominated their Yorkshire rivals. Leeds held a staggering 71% possession to their opposition’s 21%. They completed over double the amount of passes, 555 to the Blades’ 230. Not only were the passes more numerous, but they were also more accurate, 82% to Sheffield’s 58%. The Whites had seventeen shots. SEVENTEEN. And NONE on target. The visitors managed only ten shots, but crucially, they were responsible for the only shot on target during the entire game, and Basham tucked it away. It’s been our Achilles heel all season. We have dominated so many games and not had the clinical edge to put teams away, the West Brom game aside. 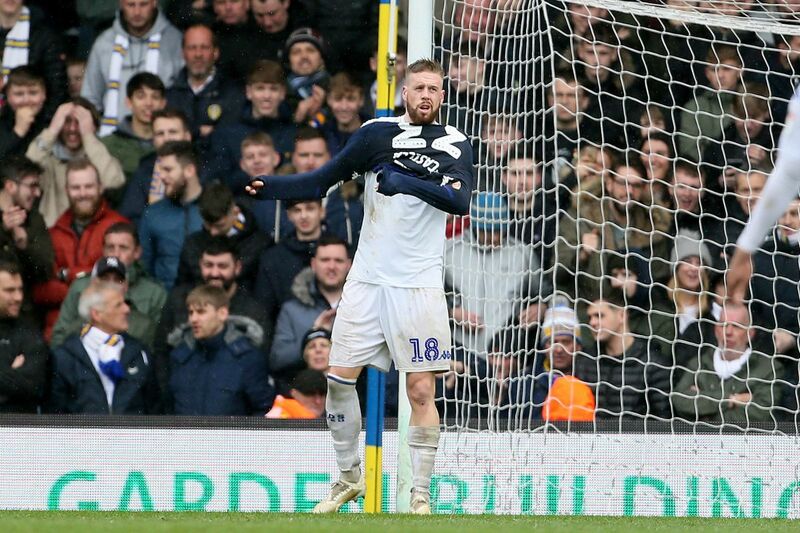 In such an environment, the price of mistakes reaches a premium, and it was poor Liam Cooper who appears to have received the invoice. However, to blame the captain for the goal is extremely harsh. Yes, Cooper was responsible for the initial error, but as Sharp carries the ball forward, he is surrounded by three Leeds defenders. The huge gap at left back was nothing short of gaping, and as Basham enters the frame, second-half substitute Barry Douglas is lagging well behind in his attempt to cover the space as the Blades man tucks the ball past the onrushing Casilla. The chaotic final twenty minutes of the match were chaotic and absorbing. The collective holding of breath as Jansson fell clutching his knee was only matched by the collective groan that greeted the introduction of Dallas. I don’t think Leeds supporters have anything specific against Dallas. I personally think he gives us a huge effort and has much more of an impact than the customary introduction of Douglas, but the sight of him removing his tracksuit while stepping past the precocious Jamie Shackleton leaves a sour taste. The enforced move of Pontus into the forward line caused Sheffield United some problems – the Swede almost played in Bamford and went agonisingly close with an effort of his own – but the red card for Casilla effectively ended the charge. The international break provides the perfect tedious antidote to the high drama of the last few weeks and means we can all come back refreshed and ready for the final push. We’ll cross our fingers that all our internationals report back in the condition in which they departed. We’ll also hope that Kemar Roofe continues his steady rate of progress in his return from injury. For all our intensity, pressing and possession, the conversion of chances to goals is now a non-negotiable. The next round of games is a big one. We host Millwall, in what their manager Neil Harris has billed ‘the biggest game of the season’. Sheffield United and Norwich go up against Bristol City and Middlesbrough respectively. Their opponents’ drive for the play-offs will hopefully be major driving factor, with City in particular peril of missing out on Lee Johnson’s top-six dream. Boro have one win in five and will be desperate to hit some form for the run-in. Don’t we all, Danny. Don’t we all.